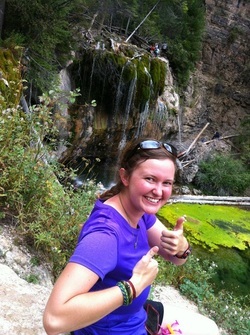 Chelsea is an avid outdoor enthusiast who is passionate about the deaf community and providing healthcare. Her credentials include an educational interpreter license, Wilderness First Responder certification, and American Red Cross instructor. Chelsea has studied American Sign Language for the past 22 years and recently worked at a Deaf camp in Colorado as the camp medic and advocate. Chelsea travels throughout Colorado and Texas teaching American Sign Language to infants – adults and ensures Deaf accessibility at established businesses. She also provides medical trainings to families and individuals for CPR, First Aid, and AED so that non-healthcare professionals can help save lives and reduce time of care for those in an emergency. Chelsea hopes to fulfill her passions by becoming an emergency room doctor and utilize her sign language skills with Deaf and hard of hearing patients. Jordan has been married almost nine years to an wonderful man. They have three beautiful children that she stays at home with. Texas born and raised, Jordan took a short hiatus from living in the Lone Star State while her husband served in the military. She has been cloth diapering for almost two years with her youngest two since birth and has worn all three of her babies since the day they were born! She is a very curious mama and likes to try out new things which has enabled her to have experienced many different types of cloth diapers and baby carriers. "I hope I will have the chance to share my love for them with you soon!"